You probably know where this is going, right? 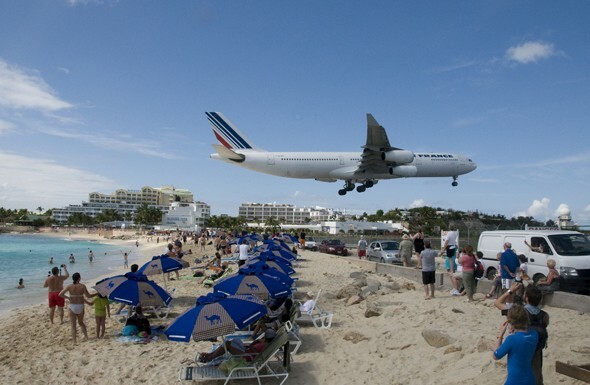 But for those of you who don’t: If you’ve ever been to St. Maarten’s Maho Beach, you know that it sits right at the end of the main runway to Princess Juliana Airport. That makes for a very unique beach experience, as large, tourist-packed, airliners land right over your head. It’s a plane buff’s paradise. Sun, sand, cold beer, and large aircraft. But when I was there it never for a second occurred to me to try this. Which, apparently, is a good thing.